thoughts from the rocking chair - granny funk crochet: Granny Funk @ Made On The Left Next Sunday! Granny Funk @ Made On The Left Next Sunday! 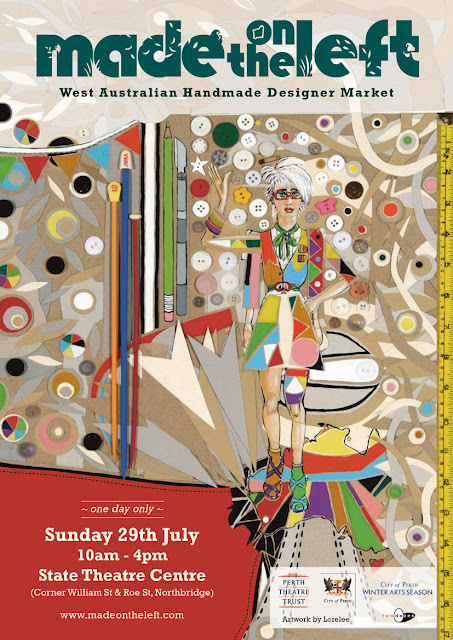 Great news - Granny Funk's going to be at Made On The Left on Sunday the 29th of July! Come down and sample some of Perth's best handmade wares at this fantastic new venue - the State Theatre Centre, right smack in the middle of town! Granny's busily whipping up some crochet treats to keep you snug through the winter - the Urban Rhythms range, a new vintage range and some fun kids' stuff - hope to see you there! You can find more info about the market here - and join the facebook event, too!